Toly are presenting their latest luxury soft square cushion compact. 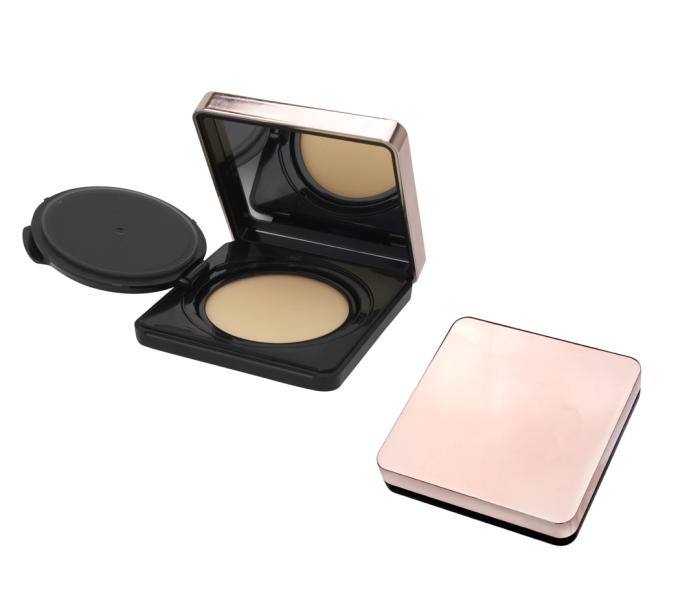 This new addition compliments their vast range and allows the selection of compacts to remain innovative and on trend. This sleek compact is a slimmer version of the traditional cushion compact, which incorporates a magnetic closing system allowing it to remain elegant whilst also being practical and portable for the user. Toly, today has developed into one of the world's leading luxury packaging manufacturers in the cosmetic, fragrance and skin care industries providing creative solutions for the cosmetic packaging industry with high quality manufacturing facilities around the world. These refillable perfume atomisers are PERFECT for travelling. The perfume can only be activated when the nozzle is twisted, therefore avoiding any accidental sprays whilst travelling, which makes it perfect for busy women ON-THE-GO.